The leaders of Iowa’s two major political parties are in a snit, over a presidential candidate forum that had been set for tonight in Des Moines. The Iowa Brown and Black Forum has hosted Democratic presidential candidates in the past, to focus exclusively on issues important to minorities, but this was to be the first-ever Iowa Brown and Black Forum to feature Republican candidates. It was cancelled two weeks ago as many of the GOP candidates are in Washington, D.C., appearing at The Republican Jewish Coalition’s forum. It’s considered an audition for one of the Republican Party’s most influential donors, casino owner Sheldon Adelson. 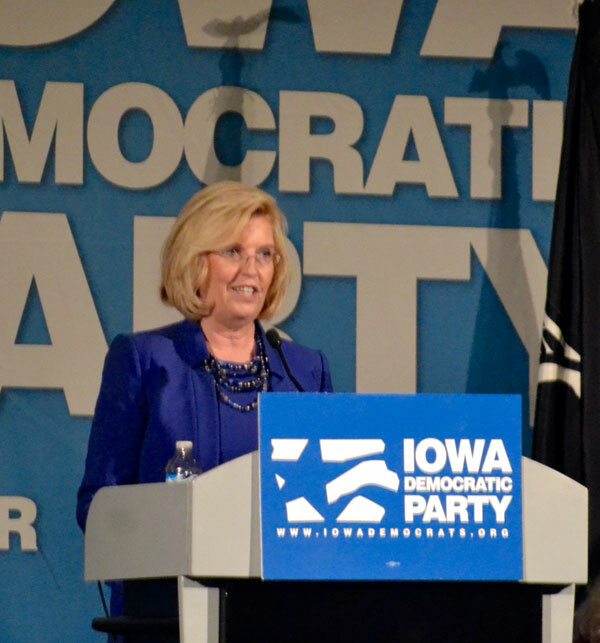 Iowa Democratic Party chair Andy McGuire held a telephone conference call today, accusing Republican candidates of engaging in “derogatory, hateful rhetoric” on issues like immigration and adding that she can understand why the Republican candidates would shy away from a forum centered on minority communities. The chairman of the Iowa Republican Party has angrily replied in a written statement, accusing Democrats of taking “cheap shots” and endangering Iowa’s “First in the Nation” caucuses. Iowa GOP chairman Jeff Kaufmann said Iowa has enough detractors among national political leaders who say Iowa’s population isn’t diverse enough to hold the nation’s first presidential contest and the last thing Iowa needs is “friendly fire” from one of our own. The Iowa Brown and Black Forum for Democratic presidential candidates will be held January 11 in Des Moines.